PWX is a global NGO working in the water sector since 2007. Apart from providing funding to water projects, their AnalytiX platform is known for its innovativeness in tracking water projects across the world. We are proud to be associated with such passionate activists working relentlessly towards improving the water situation in India and other countries. We automate and maintain their cloud servers and also help them plan their spending on web infrastructure. 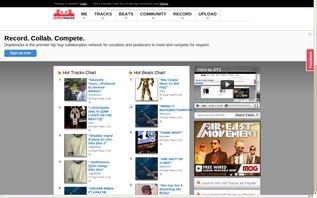 Continuing our long-standing association with Dopetracks.com (see below for our earlier work for this client), our mandate was expanded from helping them setup their AWS backend to helping them to completely re-write most of the front-end too, in order to enhance performance of the site and add plenty of new features to serve the Hip-Hop community better. We are proud to be given the responsibility for setting up and maintaining cloud-based web infrastructure of the entire site, resulting in the ability to serve even more users faster and also extracting significant cost savings in the process. PrintFriendly is one of those simple, nifty tools that makes your web experience qualitatively better. Printing web pages has always been a wasteful experience, with a lot of content like ads, images and other uneeded content cluttering the printed pages, thereby wasting ink and paper. PrintFriendly helps you avoid this. It cleans up a web page - removes unnecessary ads, images, background colors and also lets you select exactly which information you want to print. Resulting in a very clean webpage with great typesetting, the way it's meant to be printed. 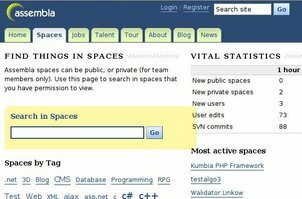 Avaialable in various formats - onsite tool, a browser bookmarklet, and even a wordpress plugin. More forms of distribution are being worked upon. Do take a look, you'll love it. 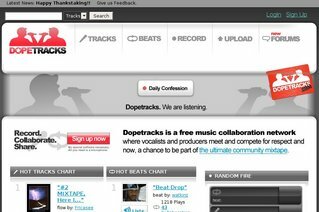 Dopetracks has a special place in our heart. It is one of those sites which is as much fun developing as using it. A unique music service where users challenge each other to come up with a better vocal for a beat provided by renowned music producers. It is amazing how bathroom singers get transformed into rap stars with the right kind of beat. We developed critical backend infrastructure for Dopetracks to do its magic. Hotchalk provides an easy to use, comprehensive e-learning experience which automates the daily chores faced by teachers in schools. Hotchalk provides a school-wide network where teachers can give assignments, grade them, and follow up on their pupils' progress. One of the many unique features of Hotchalk is that it lets parents into the loop, who will be notified of thier child's assignments, classes and overall progress. We have worked on class Adminstration view, grading of students, sending class-wide messages, etc. Assembla provides tools and services for building software quickly using global teams. A truly innovative application which combines the power of wikis, blogs, issue tracking software and professional networking, to enable the global marketplace for IT talent. Apart from job listings and developer profiles, it also offers a one-stop place to get global development teams working together. We have worked on a customized issue tracker, wiki and extensively added to Assembla's functionality. We absolutely value our clients' privacy, we will only add you to this list with prior permission.